You need to factory reset it and remove everything from the sd card, or the device will start wallboard client after reset. Grab a keyboard and connect it to the device. 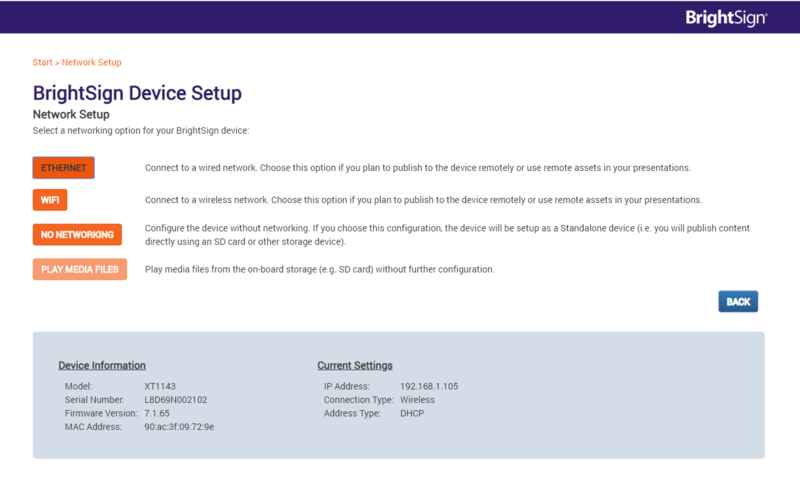 Turn on the Device and insert an empty sd card to the Brightsign and the setup screen will appear. Choose the SSID and write in the Security key then select Next-Network Diagnostics. Take out the SD card and copy Wallboard brightsign client files to it. Put back the SD card. Wallboard client will start now with wifi connection. Connect the device to the internet via ethernet, open browser on a computer and login to the Diagnostic Web Server of the device. Diagnostic Web Server login: Url:Device ip. username:admin. password:Serial number of Brightsign device. 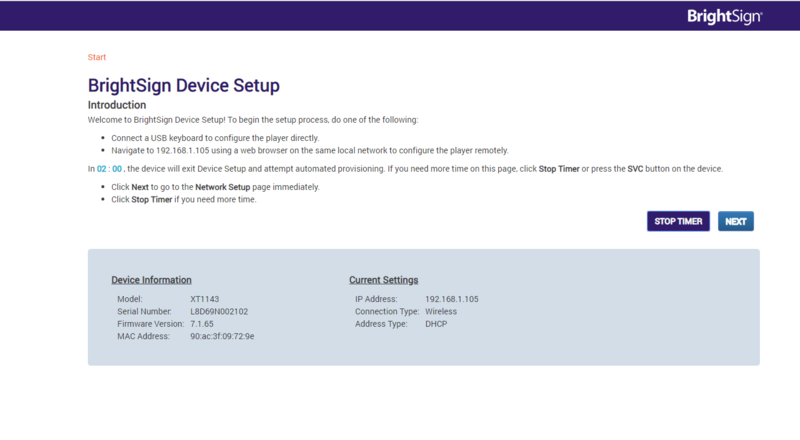 On the webadmin You will see that it shows the device setup. Reboot the device and remove ethernet cable.